Mysore city is a mid sized South Indian city with a population of about 8.87 lakh (887 thousand) and spanning an area of 128 sq km (about 50 sq miles). This is the second largest city in Karnataka after Bangalore which is the state capital. 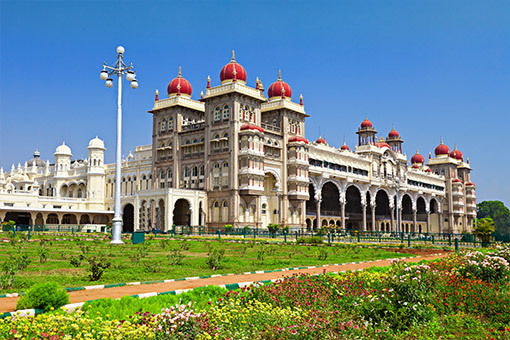 With about 2.5 million visitors every year, Mysore is one of the most visited cities in India. Mysore sits in the south Indian plane ( often referred as the Deccan plateau). Bangalore is some 140km (87miles) northeast of Mysore. 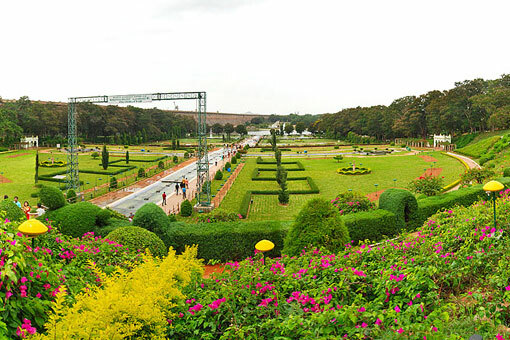 Mysore is one of the top tourism destinations in India. This city itself is a major attraction with numerous popular sites like the Mysore Palace, St. Philomena`s Church, Chamundi Hill, Mysore Zoo, Sri Jayachamarajendra Art Gallery, Rail Museum and so on. There are close to 200 structures in the city with a heritage tag. In addition Mysore city serves is an ideal gateway/ base for exploring the numerous places around Mysore which are popular tourism destinations. For example the historic Srirangapatna, Somnathpur known for the Hoysala era temple, the Brindavan Gardens at KRS, the ancient Jain center of Shravanabelagola, Bandipur National Park, the Ranganathittu Bird Sanctuary, the Tibetan center of Bylakuppe , the Coorg district etc are some of the attractions that can be easily accessed from Mysore city.